Massive mobilizations, strikes, street conflict, hysterical mass media, social and economic disruption: Chile in 1972-73 Venezuela in 2002-04. The AFL-CIO is once again on the scene, this time in Venezuela, just as it was in Chile in 1973. Once again, its operations in that country are being funded by the U.S. government. This time, the money is being laundered through the quasi-governmental National Endowment for Democracy, hidden from AFL-CIO members and the American public. Once again, it is being used to support the efforts of reactionary labor and business leaders, helping to destabilize a democratically-elected government that has made major efforts to alleviate poverty, carried out significant land reform in both urban and rural areas, and striven to change political institutions that have long worked to marginalize those at the lowest rungs in society. And also like Allende's Chile, Venezuela's government under president Hugo Chavez has opposed a number of actions by the U.S. Government, this time by the Bush Administration. Venezuelan President Hugo Chavez is a former mid-level Army officer, proud of his indigenous roots and with an avid interest in addressing the exclusion of those on the lowest rungs of society. When he helped lead a coup against the government in February 1992, the effort was unsuccessful. Defeated and captured, Chavez was imprisoned but later pardoned. Following his release from prison, he helped create a movement with an electoral component, and was elected President in December 1998, with 56 percent of the vote. His closest competitor received 39 percent. According to Professor Steve Ellner, one of the most knowledgeable observers of the situation of Venezuelan workers, an important part of Chavez' popularity with the poor stems from his belief that "the plight of the poor took priority over the protection of private property." Chavez and his efforts are contradictory: although he advocates including the poor in the political process, he has done so in a top-down manner. His movement is ideologically unfocused and internally contradictory. It has not focused on building organizations to empower the poor. It has appealed to the poor to mobilize to support his government's efforts. In many ways and over a number of years, the poor have responded, most notably by overturning the April 2002 coup attempt, led by reactionary labor leaders, top business leaders, and the business federation that had deposed Chavez and tried to exile him by force. (This is similar to what recently happened to President Aristide in Haiti.) A split within the military-Chavez commands tremendous respect in the ranks with the military-foiled his kidnapping and kept high-level officers from suppressing the mass mobilization. Chavez was returned unharmed to the Presidential Palace when millions of people surged against the putschists. But social conflict has continued ever since. Most notable was the 63-day strike led by senior management in Venezuela's oil industry between late 2002 and early 2003. This strike, with accompanying sabotage, caused a shattering 27 percent drop in the Gross Domestic Product in the first trimester of 2003, resulting in great social and economic turmoil, and depriving the government of massive amounts of money that it had been using to fund social programs. 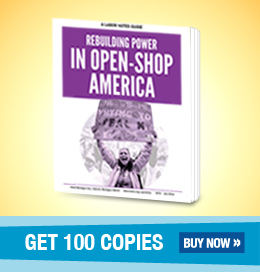 The war against the government has continued ever since, with the AFL-CIO's American Center for International Labor Solidarity (ACILS) deeply involved. ACILS-also known as the Solidarity Center-has overseen all of the AFL-CIO's foreign labor operations since 1997, centralizing a previously decentralized set of regional bodies that had long worked in Africa, Asia, Europe and Latin America. These organizations, which played a key role in the Cold War, had a terrible affect in the developing regions of the world. There is a consensus that ACILS' work under President John Sweeney has been considerably better than foreign operations carried out under previous AFL-CIO presidents George Meany and Lane Kirkland. But the continuing lack of transparency, accountability and even simple reporting to AFL-CIO members about ACILS has generated concerns among activists about what the organization actually does in the many countries in which it operates. Solidarity Center Director Harry Kamberis' background is not a typical labor background and looks suspiciously like CIA, which also adds to activists' unease. (See my report in Labor Notes, February 2004.). Most of ACILS' funding comes from the National Endowment for Democracy (NED), not the AFL-CIO. The NED was created by the Reagan Administration in 1983. One of the authors of the enabling legislation has said that NED was to do at least some of the work previously done by the CIA, albeit publicly: its talk appears progressive, but its actions are reactionary. One of the NED's initial directors was that well-known democrat, Henry Kissinger, Richard Nixon's point man in the campaign against Chile's elected president, Salvador Allende. NED is funded by the U.S. Government, through the State Department, but operates "independently" from any on-going governmental control. This enables the U.S. Government to deny any responsibility for NED's activities, and NED can claim it is an independent non-governmental organization (NGO), not a governmental one, and thus not subject to governmental scrutiny or oversight. The AFL-CIO gives a different accounting. Stanley Gacek, the Assistant Director of the AFL-CIO's International Affairs Department, writing in the Spring 2004 issue of New Labor Forum, claims "... our total solidarity program with the CTV amounted to less than $20,000 in support of the Confederation's highly successful internal democratization process...."
Yet what has been that work in Venezuela for which ACILS claims it was paid only $20,000 but which NED reports as costing over $700,000? The AFL-CIO claims its efforts have concentrated on enhancing internal democracy of the CTV, a notoriously non-democratic labor center. The CTV has had a relationship with the AFL-CIO (meaning the government-funded American Institute for Free Labor Development or AIFLD) for more than 30-years, and has been a pillar of pro-American, anti-communist unionism in the region. Some have tied it with the CIA. For 30 years, CTV was controlled by Democratic Action (AD), one of the nation's two longtime ruling parties. Despite highly publicized attempts at internal reform mounted in 2001, AD's control over CTV only intensified. The CTV was largely discredited in Venezuela during the 1990s because of its unwillingness to develop viable alternatives to the government's neoliberal policies (i.e., before Chavez). In his chapter on "Organized Labor and the Challenge of Chavismo" in a 2002 book he co-edited, Steve Ellner details six reasons for the CTV's loss of prestige: it failed to consult members; it abandoned any mobilization strategy; it allowed the government to gut historical worker benefits; it followed party (AD) dictates rather than developing independent positions; it failed to develop a consistent analysis of neoliberalism and globalization; and it maintained "resistance to internal reforms designed to strengthen and democratize the movement." The CTV underwent internal reform in 2001 but, according to Steve Ellner, those CTV Executive Board elections were marked by widespread violence and fraud. The pro-Chavez people won some representation, but the fraud kept them from gaining the ability to influence policy. At the same time, both the elected President and Secretary General were members of AD, something that had never happened in the previous 30 years: previously, AD had occupied the presidency but not the Secretary General position. As Ellner notes in a personal communication, "AD made well sure that it would maintain absolute control of the CTV." It is questionable whether this internal reform resulted from AFL-CIO advice, or from the Chavez administration's challenge to its established procedures. In any event, without such changes, the CTV's marginalization from Venezuelan society would undoubtedly increased. Despite the internal reform-including a direct vote for the CTV's executive board by a number of sectors of Venezuelan society -CTV leadership has remained adamantly opposed to President Chavez. According to a report to be published in New Labor Forum by Robert Collier of The Newspaper Guild/Communications Workers of America (CWA) in May 2004, the CTV has worked with FEDECAMARAS, the nation's business association, to carry out general strikes/lockouts of in December 2001, March-April 2002, and December 2002-February 2003. Collier reports that according to many published reports and interviews that he has conducted in the country, that "... the CTV was directly involved in the [April 2002] coup's planning and organization." Professor Hector Lucena, another labor observer, reports that these April actions were led by the CTV and joined by FEDECARAMAS. Christopher Marquis of The New York Times reported on April 25, 2002, "...the Confederation of Venezuelan Workers led the work stoppages that galvanized the opposition to Mr. Chavez. The union's leader, Carlos Ortega, worked closely with Pedro Carmona Estanga, the businessman who briefly took over from Mr. Chavez, in challenging the government." Further, Collier reports, "For months before, CTV Secretary-General Carlos Ortega created a tight political alliance with FEDECAMARAS leader Pedro Carmona, and they repeatedly called for the overthrow of Chavez." In short, Collier concludes that "... in Venezuela, the AFL-CIO has ... supported a reactionary union establishment as it tried repeatedly to overthrow President Hugo Chavez-and in the process, wrecked the country's economy." These accounts differ from the April 27, 2002 statement by the AFL-CIO titled, "The AFL-CIO and Worker Rights in Venezuela." In this statement, we find "... there is no evidence that the CTV or its leaders went beyond the democratic expressions of dissent." When the coup took place, Carmona was installed as President on April 12. The July-August 2002 issue of NACLA Reports describes how Carmona disbanded the National Assembly, repealed a series of popular reforms passed by Chavez, reinstated fired management at the national oil company (PDVSA), and fired all the judges of the Supreme Court. Ignoring the labor wing of the opposition, Carmona appointed a cabinet of business leaders, military men and conservative politicians. According to Collier, it was only after this betrayal by Carmona did the CTV condemn the coup. David Corn, writing in The Nation of August 5, 2002 confirms this: "The CTV did denounce Carmona-but not until Carmona, on the afternoon of April 12, announced his decree to shutter the National Assembly and the Supreme Court." Gacek offered another account in his New Labor Forum article (to which Collier is responding), writing that, "The CTV publicly condemned the April 2002 coup, never recognized the short-lived regime of Carmona and, unlike the Catholic Church, refused to endorse Carmona's decree dissolving the National Assembly." However, authors Ellner and Rosen report, based on Hearings of the Special Political Commission of the National Assembly that were broadcast on TV on May 10, 2002, that "[CTV leader] Ortega had publicly called for the immediate dissolution of the Assembly on April 12, prior to the announcement of Carmona's decree" (emphasis added). In a personal communication on March 6, 2004, Ellner elaborated on events: "The CTV promoted a march which was designed to topple the Chavez regime and everybody knew at the time that the idea was to create chaos so that the military would intervene." Going further, he explained that "Opposition leaders openly called on the military to overthrow Chavez, and the strike leaders-not only Ortega but the supposed 'moderates' like Manuel Cova, Alfredo Ramos, Pablo Castro, Rodrigo Penson, Froilan Barrios-none of them stated at least publicly that they were opposed to a military coup." ACILS' work in the country has not been limited to rationalizing and minimizing the role played by CTV leadership in the April 2002 coup. A series of quarterly reports on work in Venezuela from the Solidarity Center to NED have come to light through Freedom of Information Act (FOIA) requests. They have been posted on a web site http://www.venezuelafoia.info by the Venezuela Solidarity Committee/National Venezuela Solidarity Network. Excerpts from the January-March 2002 quarterly report by the Solidarity Center to NED are illuminating. "The CTV and Fedecamaras, with the support of the Catholic Church, held a national conference on March 5 to discuss their concerns, perspectives and priorities regarding national development and to identify common objectives as well as areas of cooperation. The conference was the culminating event of some two months of meetings and planning between these two organizations. The joint action [producing a "National Accord" to avoid a supposedly "deeper political and economic crisis"] established the CTV and the Fedecamaras as the flagship organizations leading the growing opposition to the Chavez government" (emphases added). The report continues: "The Solidarity Center helped support the event in the planning stages, organizing the initial meetings with the Governor of Miranda State and the business organization, FEDECAMARAS, to discuss and establish an agenda for such cooperation in mid-January." The report continued to detail more of their efforts, concluding with the comment that, "The March 5 national conference itself was financed by counterpart funds." Less than 30 days after the March 5 conference, the CTV and FEDECAMARAS launched a national general strike to protest the firing of oil company management, and the coup attempt-in which CTV and business leaders played central roles-took place. It is possible to argue that these and other meetings in which Solidarity Center representatives participated had nothing to do with the events surrounding the coup attempt. However, suspicion was aroused by the International Affairs Department's continued unwillingness to provide reports of the Solidarity Center's work, let alone detailed reports of these specific meetings-as noted above, Solidarity Center reports to NED have been posted on the web. Concluding that ACILS played no role in the turmoil that rocked the country would require us to ignore the central role being played by CTV and FEDECAMARAS leaders in that turmoil-leaders with whom Solidarity Center representatives were in regular contact. It would also require us to ignore the $587,926 that was provided by NED to ACILS between 1997-2001--$154,377 in 2001 alone-to pay for work with the CTV. Then there was the December 2002-February 2003 strike/lockout that so devastated the economy. ACILS was granted $116,001 on September 13, 2002 to continue its work with the CTV for another six months-in March 2003, the grant period was extended another year. Further, according to Ellner (personal communication), "...no one in the CTV leadership-absolutely no one-publicly spoke out against the way the [December-February] strike was being handled." The "leftists" that Gacek referred to-Barrios, Ramos, Cova, Castro, etc.-"... actively participated [in] and supported the strike." Along with this, Ellner writes, "... the opposition has, in my mind, not modified its tactics in significant ways since 2002, and the CTV continues to be a key actor currently in Venezuela" (emphasis added). Gregory Wilpert, writing on Z Net, identifies the CTV as well as FEDECAMARAS, almost all opposition parties and nearly all of the private media, as comprising "the hard-core opposition." Juan Forero, writing from Caracas for The New York Times on March 11, 2004, in an article about how NED efforts are trying to destabilize Venezuela, reports that leaders of the CTV, along with leaders of the AD and two other parties, "... have been at the forefront of the anti-Chavez movement" (page A-3). Thus, despite any claims to the contrary, ACILS has been and continues to be intimately involved in the on-going efforts by CTV leadership to overthrow the government. And thus, as ACILS itself admits, gains made "are threatened by the attempts of some members of the CTV leadership to embark on a political agenda, and engage in political alliances, that have at best questionable support from the membership." Further, "The political opposition is viewed with suspicion by the urban poor and has offered no substantive alternative to the government's program (ACILS Grant No. 2002-433.0, p. 6) (emphases added). Interestingly, during the 1990s, "The CTV failed to reach beyond the organized working class by defending the interests of this lower stratum of the population" (Ellner: "Organized Labor and Chavismo"). Yet in this 2002 grant request for $116,001 to NED, ACILS claims, "The CTV has the technical and political capacity to propose programs that will support organization and representation of workers in the informal sector..." a sector CTV has not cared about for a very long time. I think it is safe to conclude that ACILS is developing CTV's political program-not its members-in a direction that CTV heretofore has refused to go. ACILS is not a passive follower but appears to be intimately involved in creating CTV's direction and, accordingly, shares direct responsibility for its results. The parallels with 1972-73 Chile are overwhelming. Just like in Chile in 1972-73, the AFL-CIO, through ACILS, is clearly engaged in an effort to destabilize a democratically elected government that disagrees with a number of positions of the US Government. This destabilization effort is not singular, but is one component of a multiple-track endeavor that includes supporting a peasant organization that opposes land reform; an educational organization that has suggested no education reforms; an organization seeking to incite a military rebellion; a civic association that has worked to mobilize middle class neighborhoods to "defend themselves" from the poor; a civil justice group that opposes grassroots community organizations because they supports the Chavez government; a "leadership group" that supports the metropolitan Caracas police, whose behavior has become markedly more repressive over the past year; and a number of other anti-Chavez organizations, each which have received recent funding from NED. While there have been significant changes in foreign operations policy that has developed under the Sweeney Administration, the information from Venezuela indicates that these changes are quite limited, and certainly do not apply to unstable situations where the existing social order is being challenged from progressive forces. Despite the improvements that have been made, ACILS has reverted to the worst practices of what were thought to be by-gone years-and the people who run it don't want AFL-CIO members or the public to know. But there are three questions that beg for answers from ACILS, Harry Kamberis, and the AFL-CIO leadership in general. First, how do these efforts to overthrow a democratically-elected president-a president who is actively trying to meet the needs and aspirations of the poorest 80 percent of the population-help meet the needs of these working people? Second, how does working to destabilize the elected government of Venezuela help workers and their families in the United States? And third, if your projects such as in Venezuela are so good for American working people, why are you trying so desperately to keep U.S. trade unionists from accurately knowing what you are doing in these countries? Why, indeed? For the most developed account of the AFL-CIO's role in destabilizing Chile in 1972-73, see my article in the Summer 2000 issue of Labor Studies Journal titled, "It's Time to Come Clean: Open the AFL-CIO Archives on International Labor Operations." This has been posted on-line in English by LabourNet Germany at http://www.labournet.de/diskussion/gewerkschaft/scipes2.html. For an important compilation of documents regarding the National Endowment for Democracy and its efforts to destabilize Venezuela--all obtained through Freedom of Information Act (FOIA) requests by journalist Jeremy Bigwood and posted on a web site by the Venezuelan Solidarity Committee/National Venezuela Solidarity Network, go to http://www.venezuelafoia.info. Another excellent web site, including analysis of developments in Venezuela is http://www.venezuelaanalysis.com. Gregory Wilpert's reports have been quite helpful in understanding the situation. Still another excellent site is that called "Venezuela Watch" on ZNet: http://www.zmag.org/venezuela_watch.htm This has a number of articles--most are quite good to excellent--concerning developments over the past two years on Venezuela. Another recent labor-related piece is "The Question Remains: What is the AFL-CIO Doing in Venezuela?," by Alberto Ruiz on ZNet: http://www.zmag.org/content/showarticle.cfm?sectionid=45&itemid=5074. Stan Gacek complains that some critics are even wondering why ACILS is even operating in Venezuela...duh! He is referring, at very least to an article I published on ZNet on May 2, 2002: Kim Scipes, "AFL-CIO and Venezuela: Return of Labor Imperialism, or a Mistaken Reaction" http://www.zmag.org/content/labor/sipesaflven.cfm (yes, they misspelled my last name). You also might want to reference my Feb 2004 article in Labor Notes about how the AFL-CIO has refused to address issues raised by the California State AFL-CIO concerning their international labor operations: Kim Scipes, "AFL-CIO Refuses to 'Clear the Air' on Foreign Policy, Operations" at http://labornotes.org/node/957 There are a set of references after the article (not including the ones presented here), with links directly to each of them, and these references are annotated. An excellent chapter in a recent book--not on-line--that gives an in-depth look at the Venezuelan labor movment is Steve Ellner, "Organized Labor and the Challenge of Chavismo" in a book that Ellner co-edited with Daniel Helliger, VENEZUELAN POLITICS IN THE CHAVEZ ERA: CLASS POLARIZATION AND CONFLICT, Boulder, CO: Lynne Reinner Publishers, 2002. David Corn, "Our Gang in Venezuela" (about the National Endowment for Democracy--not the most sophisticated analysis, but provides some good information): http://www.thenation.com/doc.mhtml?i=20020805&s=corn. Greg Wilpert, "Why Venezuela's Middle Class (for the most part) Opposes Chavez," dated October 27, 2002 on ZNet: http://www.zmag.org/content/print_article.cfm?itemid=2546&sectionid=45. Mike Lebowitz, "Venezuela's National Union of Workers," dated April 2, 2002 on ZNet: http://www.zmag.org/content/showarticle.cfm?sectionid=45&itemid=3374. Bill Berkowitz, "Venezuela at the Crossroads," dated March 5, 2004. It was on Alternet last week and was quite informative: http://www.workingforchange.com/article.cfm?itemid=16547. Dario Azzelini, "The Destabilization Script as Applied to Venezuela," dated March 5, 2004, on ZNet (not yet posted on Z's Venezuela Watch): http://www.zmag.org/content/showarticle.cfm?sectionid=45&itemid=5090. Gregory Wilpert, "How To Turn a Government into a Pariah: Venezuela's Matrix," dated March 8, 2004 on ZNet (not yet posted on Z's Venezuela Watch): http://www.zmag.org/content/showarticle.cfm?sectionid=45&itemid=5110. For an important evaluation of the mass media's role in the April 2002 coup, by the International Federation of Journalists, see "Missing Link in Venezuela's Political Crisis: How Media and Government Failed a Test of Journalism and Democracy," Report of the IFJ Mission to Caracas, June 10-12, 2002: http://www.ifj.org/pdfs/venezuelajuly02.pdf. Kim Scipes, PhD, is a former member of the Graphic Communications International Union as well as the American Federation of Teachers and the National Education Association.